SFC Louis Nathan Pearrow, Jr, USA, Ret. Louis Nathan Pearrow, age 80, passed away on Friday, September 28, 2018. A Memorial Service will be held at 10:00 am, Friday, October 5, 2018, at Scott's Funeral Home with a burial of his cremains at the Central Texas State Veterans Cemetery at Noon with military honors. Louis was born on July 9, 1938, in Gregory, AR to the late Louis and Alice Holler Pearrow. In 1942, the family moved to Pacoima, California where he attended school. In 1962, he was drafted into the Army and served for 20 years retiring as a Sergeant First Class. While serving in Japan, he met Hisako Miyano and they married six years later in 1976. After his military career, he found a love for driving. He transported manufactured homes all over the southern states. Louis also owned his own manufactured home resale center in Kempner and sold homes all over central Texas. In his spare time, he loved to ride his motorcycle. 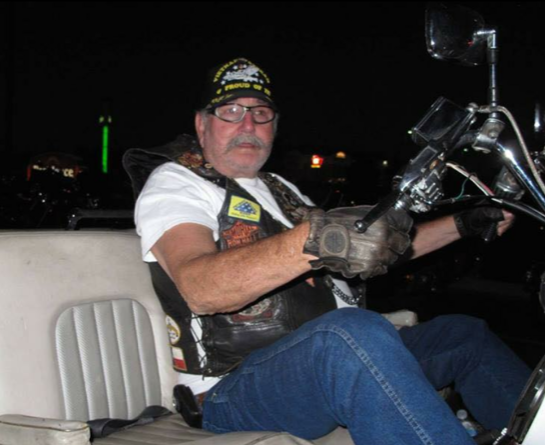 He was a member of the Patriot Guard, Southern Cruiser Riding Club and enjoyed riding in parades with his grandkids. Louis also enjoyed working in his shop on various wood projects. Louis was preceded in death by his parents; brother, Ronnie Pearrow and a sister, Bobbie Pearrow. Louis is survived by his wife, Hisako Pearrow; son, Danny Pearrow and wife, Lisa; daughter, Barbara Miller; brother, Garry Pearrow; sister, Freda Ann Freeman and husband, Don; eight grandchildren, Lauren Eshelman, Alexandria Pearrow, McKenna Miller, Bryce Pearrow, Owen Miller, Adin Miller, Zachary Pearrow, and Chase Pearrow.